Three characteristics that guide every development of Unitronic projects. Offering the best performance tuning solutions for your Volkswagen and Audi vehicle as always been, and will always be, Unitronic’s primary objective. The Unitronic research and development team build Software and Hardware the way they would buy them as V.A.G. enthusiasts. Going faster is the main goal, but at what cost? With Performance and Quality in mind, Unitronic can vow for the reliability of its tuning solutions. Not only will you achieve exciting results by choosing the Unitronic way but you will keep a joyful, stress-free driving experience. By using the finest materials and by extensively testing all their products under various conditions, Unitronic DELIVER THE POWER™ without compromise. UNITRONIC vision now consist of extending its reach to new venues around the world. Equipped with products that are designed for every level of car tuning enthusiast, UNITRONIC strives to extend its offer of Performance Software and Hardware to newer models and maintain a proud legacy of more than 15 years as V.A.G. brand tuner. Check out the photos below to view the Unitronic Headquarters located in Laval, Quebec, Canada. 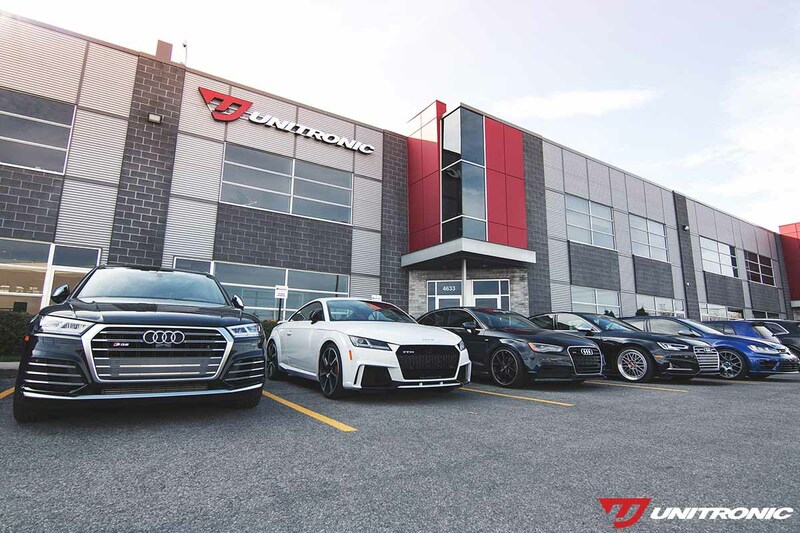 At the cutting edge of technology, Unitronic’s Headquarters features some of the most sophisticated tools and equipment to engineer the finest automotive performance products. Unitronic’s DTS/Superflow Engine Dynamometer and MAHA Chassis Dynamometer allows Unitronic with the ability to conduct proper research, development, testing, and validation of its Performance Software and Hardware products; ultimately allowing Unitronic to DELIVER THE POWER™ to its Clients with unmatched reliability. Unitronic’s Hardware Engineering Department utilizes the latest in 3D scanning technology with its in-house 3D Laser Scanner. This tool provides its team with the ability to develop Performance Hardware products with the highest level of precision currently possible within our industry. This translates to perfect fitment and maximum performance possible, while reducing prototyping and quality control validation time frames. 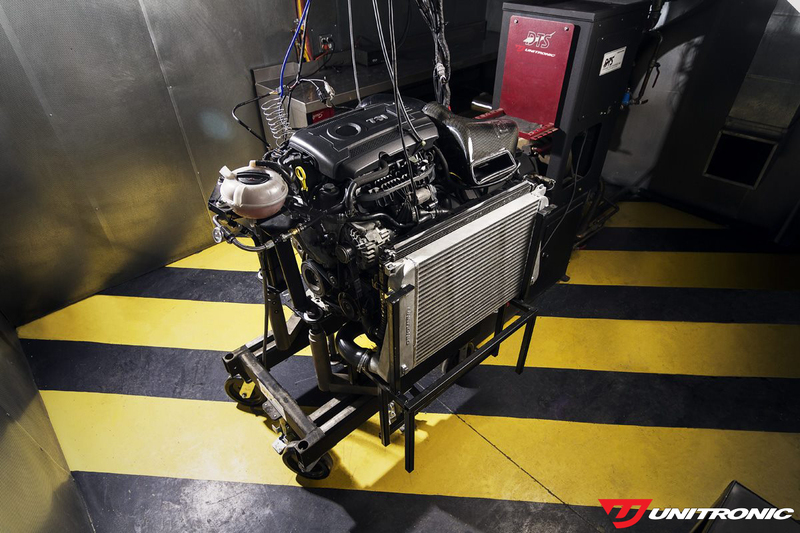 Because of the "lab-like" installation of our Dyno Room and components, Unitronic is able to replicate any temperature, condition, load, or road-like environment. These tools gives us the possibility to test various stock engines, as well as Unitronic's Hardware Products for their performance, reliability, strength, and integrity. After Unitronic’s years of knowledge and expertise in software calibrations, it often identified voids in the marketplace when calibrating its performance software in conjunction with poorly engineered and designed third-party hardware. As a result, Unitronic introduced its Performance Hardware line to match its unique quality standards. This translates to a complete performance package of staged performance software and hardware. Unitronic’s Authorized Dealer Network extends worldwide throughout the Americas, Europe, Asia, Africa, and Australia continents, reaching over 30 countries. Unitronic’s Research and Development practices along with its in-house tools and equipment ensure that it’s Performance Software and Hardware are maximized for reliable, safe operation in nearly any operating conditions throughout the world. Whether you’re in the busy streets of China, at the top of Andes Mountains in Argentina, or anywhere in between, rest assured that you can trust Unitronic Performance Software and Hardware to DELIVER THE POWER™. When you use Unitronic Genuine Performance Products you not only get the ultimate driving experience – you also gain access to a very knowledgeable and friendly customer service staff that is always available to provide support and answer any questions you may have. We have earned a significant reputation for our world-renowned customer care and support; we take great pride in this reputation and will continue to provide the best customer service every day. Whether you are a customer of Unitronic or interested in becoming one, exceptional expert advice is only a phone call away. Unitronic stands behind its Performance Software & Hardware to deliver its Clients with the performance, quality, and reliability the brand has been established on. Unitronic offers a hassle free, no questions asked 15-day Satisfaction Guarantee on its Performance Software and a Limited Lifetime Warranty to the original Client on its Performance Hardware. Our goal is to enhance your vehicle’s performance, while ensuring the advertised power figures are met. Our risk-free guarantee exists to bring you peace of mind, so you can rely on Unitronic to go the extra mile for you, every time. We are here to serve you and build on our solid reputation, one satisfied customer at a time. You will soon realize that there are no words to describe the adrenaline pumping through your veins as you try to contain your emotions of pure excitement and pleasure. Don't take our word for it; GET UNITRONIC NOW and LIVE THE EXPERIENCE. Watch our YouTube videos and witness our customers' reaction! Be sure to Subscribe to our YouTube Channel and stay up to date with all of our video releases and show coverage throughout the season.